Roots is counting down the day to Black Friday deals with a Six Nice Days, Six Nice Offers promotion! Each day they will have a special deal on that day only! Also their entire store is 30% off right now (November 22-27). 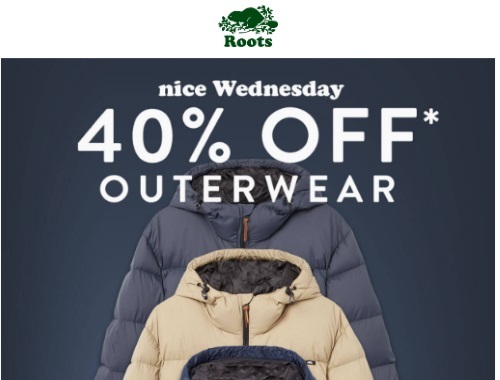 Today's one day deal is 40% off outerwear.